This is a great addition to your recipe collection. 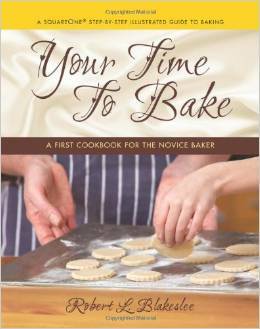 The recipes in this book are simple, easy to understand and perfect for the novice baker. Though developed for the novice, the recipes included are also great for experienced bakers as well. Try out frostings, sauces, creams, toppings, glazes, and more. Bake cupcakes, cakes, cobblers, pies, cookies, and pastries. This cookbook has everything! I can’t wait to try out Almond Triangle Puffs, White Chocolate Macadamia Biscotti and Greek Honey Cake. This collection features tons of pictures to drool over!